--LOCATION OF INSET BOUNDARY WITHIN MAP "r M:..r..'. ..
-EXCORPORATE LIMITS .'" I A 2 . 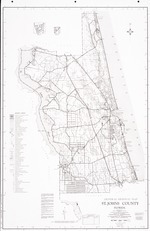 BOATLAND SECTION LINE MP 29 27 . -- PARK WITH BOAT RAMP Z s- "
G E N EIR A\ L" 1 M ,.. *. R30498WADE_2 8 A. "- "
153514 H, 137 4 3 . MA INGAR OR SWAM IP -S41 -. LA E R SE V ,40 75... A '"
-: A SHO S26 Beac,,h,._- ,. -- i -II, -t l "